We are so grateful and thankful that we held our wedding at Raheen House Clonmel. 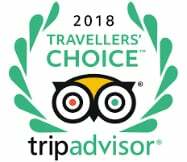 We planned our entire wedding from Canada and Mark and all the staff at Raheen were so helpful and accommodating throughout the entire planning process. Mark and the staff were always available to us by email and phone, answering all our questions straight away, and providing much welcomed advice here and there when needed. The venue itself on our wedding day was simply fantastic. 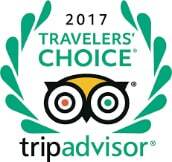 The food was delicious and our guests loved the layout of the rooms, gardens and the bars. We held a humanist wedding outside and thankfully the sun came out. The set up for the ceremony itself in the garden was beautiful, and Mark and the staff made sure everything went smoothly. We are so glad that we held both our ceremony and reception at Raheen House and we are so grateful to Mark and all the staff for making it such a special day. 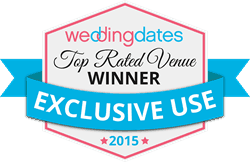 We cannot recommend Raheen House enough to anyone looking for a venue. We’d like to thank Mark and his team in Raheen for their excellent attention to detail on our wedding day, the 28th December. Everything ran so smoothly and we were so impressed with the food, decor and impeccable service throughout the evening. We couldn’t have asked for better. Everyone commented on how beautiful the function room looked and how delicious the meal was. Mark and all at Raheen did such a wonderful job for us and we’ll always be grateful for that. Raheen House has so much to offer. It’s classically beautiful, quaint, stylish and unique and adds something special that other hotels couldn’t match for us. It was the perfect venue for a perfect day. Thank you again Mark and all. From start to finish I loved Raheen House, but I have to admit that on our wedding day it far surpassed my expectations. The venue was made all the more special by the exceptional service offered by the manager, Mark. Mark and the other staff turned the venue into a magical winter wonderland for our wedding. It looked amazing and the open fires, fantastic food, beautiful gardens and warm atmostphere made it so special. The hotel looked after everything for us, we didn’t have to worry about any of the small details. Raheen House is a hidden gem just outside of Clonmel town. 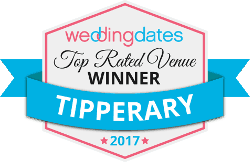 If you want a small/average size wedding that has the feel of a country house, while being close to all the local bnbs and amenities do not go past Raheen House or Mark! Thank you so much to all the staff – you were brilliant. Got married on the 29th Dec in Raheen House Clonmel, we could not have been happier with the venue, the service and the food for our Big Day, would highly recommend this as a wedding venue. The place looked beautiful, cosy and warm with the Christmas lights and decorations twinkling all around. It was exactly what we were hoping for, we wanted a small, intimate and welcoming venue for 120 guests and we really loved the idea of a country house with a bit of character and with Raheen House that was exactly what we got. The food was really lovely. We felt that the day went extremely smoothly thanks to Mark and the wonderful staff at Raheen! A special thanks again for making our day so special, Clare & Thomas. Couldn’t recommend enough Raheen house as a wedding venue.Its such a beautiful place, meal was excellent, and Mark and his staff are so professional. They Attended to every little detail. I’m still on a high from our wedding at Raheen on 24th November I can’t believe it’s over. 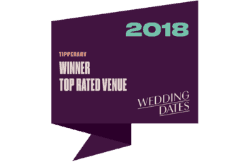 Like every bride and groom we were stressed out arriving at Raheen the night before our wedding but there the stressed stopped Maria, Mark, Trish and all the staff at Raheen were wonderful they took control and everything ran smoothly. The venue is amazing and our guests raved about the food and Raheen overall. 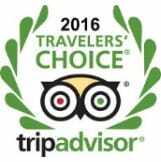 The team are so experienced we did not have to worry about anything they were always one step ahead and so accommodating to our guests. We had just over 100 guests and what we enjoyed most was it was just us and our guests so private and intimate. We honestly cannot fault Raheen house hotel and the team it was all just perfect and my only regret is that the day went so fast but thankfully it went so well due to the high level of service we received. A perfect venue for a perfect day. We would highly recommend Raheen House Hotel. First of all the Raheen House is a very magical place. The surrounding is beautiful with pretty views, old trees and lots of green. The Hotel itself is gorgeous as well- starting from the entrance up to the very unique and old fashioned guest rooms. We are still dreaming from the beautiful bridal suite… Despite of the very pretty decoration and furnishing of the house full of little details the people working there are very kind and helpful. We got married in Ireland but live in Germany so the organisation wasn´t the easiest but I have to say that especially the manager Mark was always available via e-Mail and phone for every single question that I had. They were very flexible with decorations and e.g. the Candy Bar we brought into the venue so that it wasn´t a problem at all to bring your DIY things. Mark was very helpful with recommensations for bands and photographers as well as with finding the right wedding package for us. We were able to try a big choice of different courses to find the right menue and wine. On the Wedding Day itself every single waiter and waitress were very friendly and professional and the food was very good as it was at the tasting. The team working for Raheen House was very warm, helpful, experienced and just great! As this is a review I would like to write something that went wrong or was negative as well but the only thing was that it was over way too soon!! And that really is more a good than a bad sign. We just had our perfect day! We would love to do it all over again and would choose Raheen House again! We loved every second and will definitely come back again to visit for a lovely dinner. We had our wedding service and reception in Raheen House in September 2017. From start to finish, Mark was wonderful to work with. Nothing we asked of him was too much. All the staff were helpful and friendly. The food was amazing as always. A number of our guests commented that the meal was the best meal they’d ever had at a wedding. Mark attended to every detail and even picked up on small things that we had missed and sorted them out for us. He made sure that we were comfortable and well taken care of all day. I would not change a single thing about my wedding day. This venue is perfect if you want a small and intimite wedding. Massive thank you to Raheen House, Mark and team for making all our wedding dreams come true. We had an outstanding experience at Raheen house. Every detail of the day worked out perfectly. The staff were attentive and friendly which made us feel very relaxed. Mark made sure that anything we requested was arranged without question. Mark guided us through any parts of the process that we were unsure of and was enthusiastic every time we met him. The rooms were spotless and each of them unique which really added to the experience of staying in Raheen House. The house overall is very sweet and quaint, the gardens are gorgeous and ideal for photographs. I can honestly say that we had the best day of our lives at Raheen House and we can’t thank them enough. We had our wedding reception in Raheen House in September. It was amazing. Mark and all the staff were great. They made sure everything was perfect. Mark was with us all day making sure everything went to plan which allowed us to have the relaxed wedding we had planned for. The food was excellent as always, everyone was served almost at the same time so no one was left waiting and there was more than enough staff working. Raheen House and it’s beautiful grounds along with Mark and his great staff make it the perfect venue for a great wedding. Yvonne & Edward.